Best Windows 10 VDI user Experience. Entry to mid-level professional graphics users, including support for heterogeneous profiles. 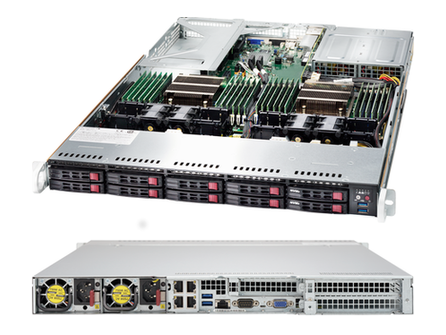 The Supermicro 1029U-TR25M SuperServer is a 1U Rackmount server with 10 2.5" Hot-swap Drive Bays, 2 25GbE SFP28 Ethernet ports and 750W Redundant PSU. 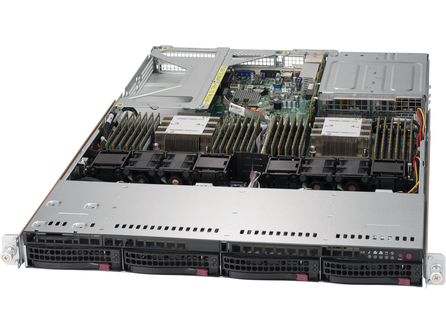 The Supermicro 1029U-TRTP2 SuperServer is a 1U Rackmount server with 10 2.5" Hot-swap Drive Bays, 2 10G SFP+ and 2 1GbE ports and 750W Redundant PSU. The Supermicro 1029U-TRTP SuperServer is a 1U Rackmount server with 10 2.5" Hot-swap Drive Bays, 2 10G SFP+ Ethernet ports and 750W Redundant PSU. The Supermicro 1029U-TRT SuperServer is a 1U Rackmount server with 10 2.5" Hot-swap Drive Bays, 2x 10GBase-T Ethernet ports and 750W Redundant PSU. The Supermicro 1029U-TR4 SuperServer is a 1U Rackmount server with 10 2.5" Hot-swap Drive Bays, 4 Gigabit Ethernet ports and 750W Redundant PSU. 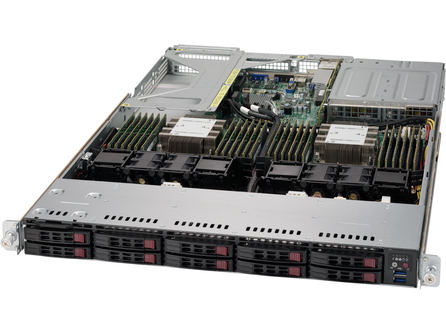 The Supermicro 1029U-TR4T SuperServer is a 1U Rackmount server with 10 2.5" Hot-swap Drive Bays, 4 10GBase-T Ethernet ports and 750W Redundant PSU.